Various concepts guide discussions on global literature, not least ›transnational‹. 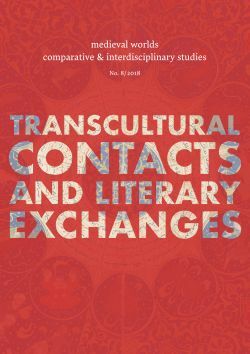 The present text advocates, however, for the term trans-imperial, as offering a more correct definition of world literature, or global literature, both in pre-modern and modern times. Imperial spheres build up worlds of strong interconnections, and the languages they employ become privileged languages that may last beyond the time span of a given empire. These imperial spheres with their one central language therefore form the hardest borders for the dissemination of texts, now and then. By being trans-imperial, texts therefore constitute the true global literature. In medieval times trans-imperial texts would comprise especially fable stories, holy texts, philosophy and science, and mirrors of princes. These were the texts most often carried from one imperial sphere, or rather imperial language, to another, through translations. This article, consequently, offers definitions of what constitutes an imperial language. Central to identifying and safeguarding a language and making it perform as an imperial language was the establishment of a grammar and/or a set of canonized texts defining the language, the actual use of it by an empire in running its administration, and the performance of the empire’s self-images through it. In many cases, secondary imperial languages – like Greek in the Roman world or Persian in the Caliphate – would hold a lower but still privileged place in the empire’s life and communication. Many such secondary imperial languages could then subsequently rise to the status of imperial languages, as several vernacular languages later did from Latin. The text argues that these features, which are probably most clear-cut in a pre-modern context, also hold true in a modern context, and that what we normally refer to as successful national languages (English, French, Spanish, Russian, etc.) were, from early on, imperial rather than national languages, and that their literature, in being global, was trans-imperial.